Following yesterday’s surprising loss to Red Star Belgrade in the Champions League, which puts Liverpool’s chances of advancing in potential jeopardy, Jurgen Klopp has made a necessary decision in holding a team meeting to question why their away form has been so disappointing, according to reports today from The Daily Star. 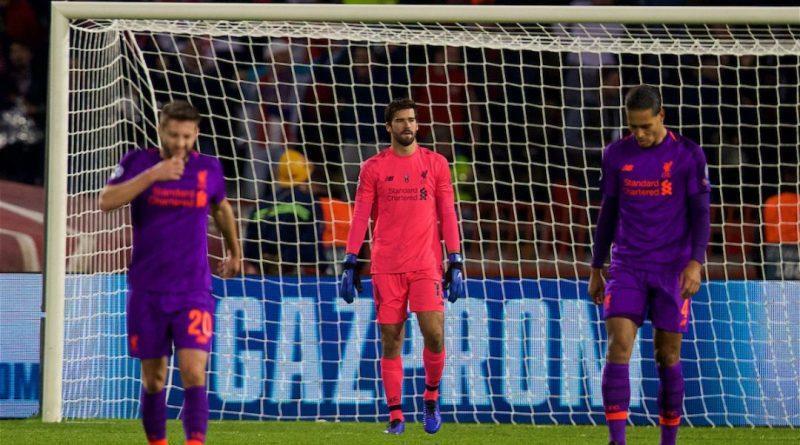 Klopp has apparently been left dumbfounded as to the nature of Liverpool’s away performances in the Champions League thus far, with last night’s shocking loss to underdogs Red Star, coupled with an abject 1-0 loss to Napoli last month proving there is still much work to be done. While both losses were deserved, Liverpool failed to turn up in either clash and only manager to muster a shot on target against the Serbian side deep into the second half — somewhat embarrassing considering the level of opposition. Liverpool’s status in the Champions League very much hangs in the balance — one win in their remaining two games should be enough to see them through but it would have been a much easier task had the Reds bothered to turn up against Red Star. You have to hope that Klopp’s words can turn our fortunes around.